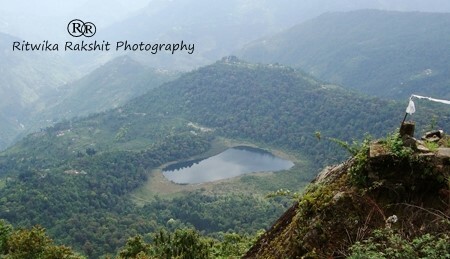 This lake is about 28Kms from Pelling, situated at an altitude of about 6000 ft. This is one of the largest lakes in Sikkim. The upper view of the lake is like a foot of human. This lake is regarded as one of the sacred lakes of Sikkim and remains hidden in the dense forest cover. It attracts tourists and pilgrims. The other name of this lake is “Wishing Lake”. According to the locals if anyone wishes anything in front of this lake that comes true. The magic of the lake is that in spite of being surrounded by deep forest, the water of the lake remains clean. If any leaves drop in to the water, the birds fly and pick the leaves away. 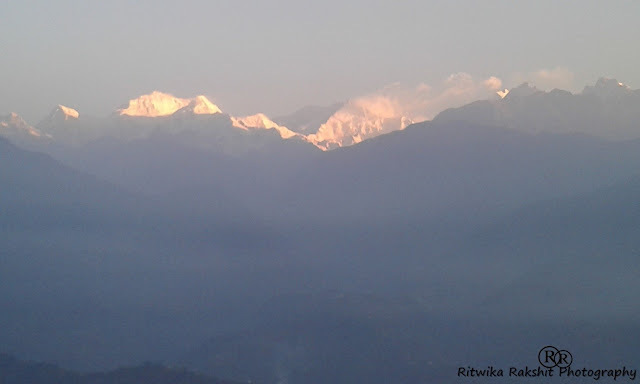 Even it never gets frozen in winter when the other lakes of Sikkim turn into ice. The location of this lake is awesome and creates a mystery around. This is a historic holy place where the famous Lama named Norbugang first reached. This is a monastery where we can see the footprint of Norbugang and a beautiful landscape. There is a 500 years old pine tree. It was brought by Norbugang from China. This monastery was created in 1642. There is a holy lake near this place named Kuthok Lake linked, with this The Norbugang Chorten. 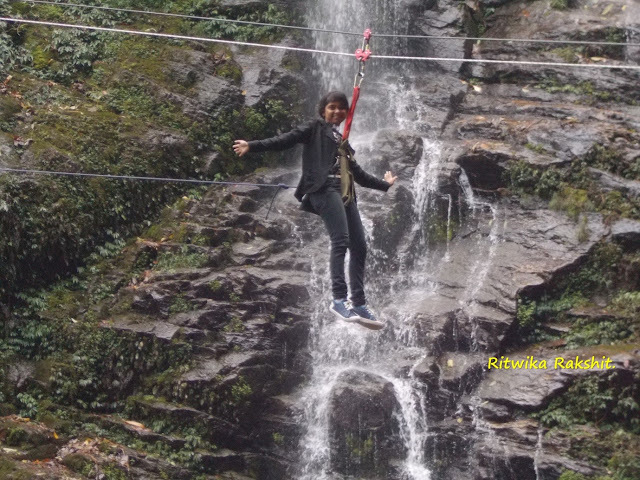 This is one of the biggest, beautiful and dangerous falls in Sikkim. In front of the waterfalls there is an open rope-way for tourist which goes from one side to another side of the falls. Trust me this is the most trilling experience; you can think of. Imagine that you are hanging by one single rope and at one side the almost 100 ft waterfalls and beneath you the river is flowing. This is the highest hanging bridge in Sikkim near by the city Dentam. The clouds go through the bridge. This bridge is surrounded by many mountains and forests. According to local folklore the maddening beauty often makes people suicidal. But as you see, I survived!! This is one of the most renowned monastery of Sikkim nearby Pelling . According to me this is a walking distance to the Sanga Choeling monastery. Although you can take a car, walking will let you enjoy the forest and the landscape. 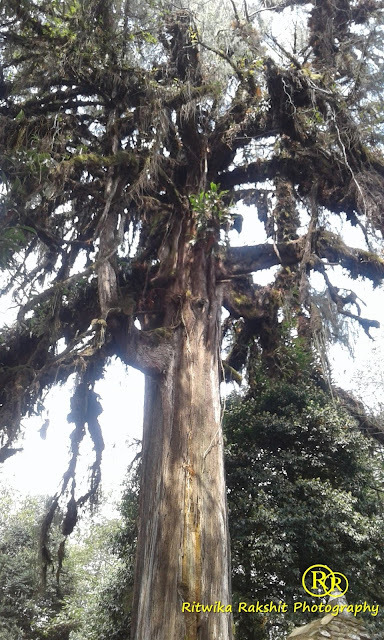 The monastery is situated on top above Pelling at a distance of 7 km (4.3 mi) from Pemayangtse Monastery and is accessed by walking the steep hilly track of 4 km (2.5 mi), which traverses rich forest cover. This place is known as place of secret spells. This was established at 17nth century . The Lama Lhatsun Chempo created this one of the oldest monastery of Sikkim. The speciality of the monastery is the evening prayer and the natural beauty of it. From this monastery the famous city Darjeeling can be seen. Again as per locals, it is a magical place. Not sure if it is magical or not but the scenic and panoramic view is truly conjuring. This is a park with a large area including a 130 foot Buddha statue. This was opened by Dalai Lama in 2013. 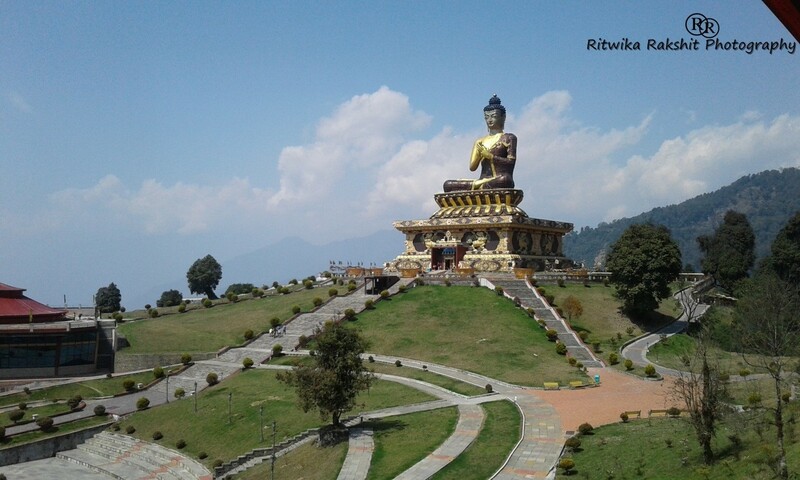 This beautiful place in Ravangla , South Sikkim is also known as Tathagata Tsal . The gold statue in itself is the Buddha temple. There is a beautiful art that depicts the life story of Buddha. Created on top of the mountain of Ravangla, the panoramic view from this park is breathtaking. The main attraction of this place is the 108 ft tall statue of Lord Shiva including the replicas of 12 Jyotirlingas , models of sacred Chardham Hindu Temples of Jagannath, Badrinath, Dwaraka and Rameswaram . 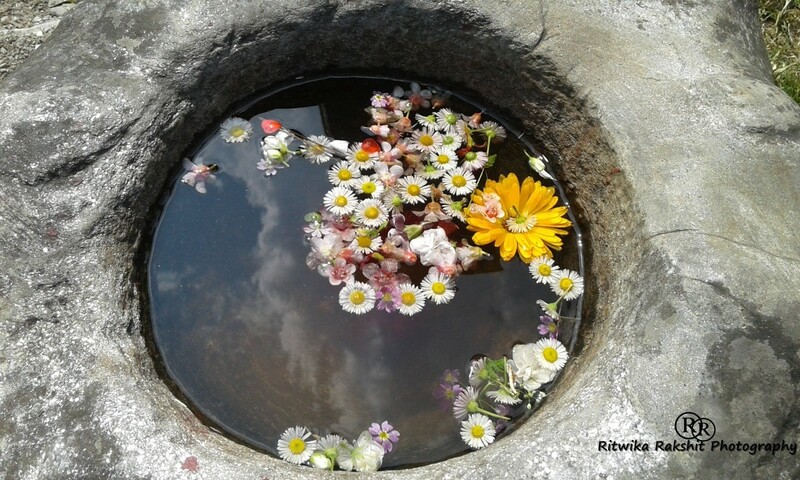 This is situated on top the hill named solophok hilltop, about 5 km far from Namchi. 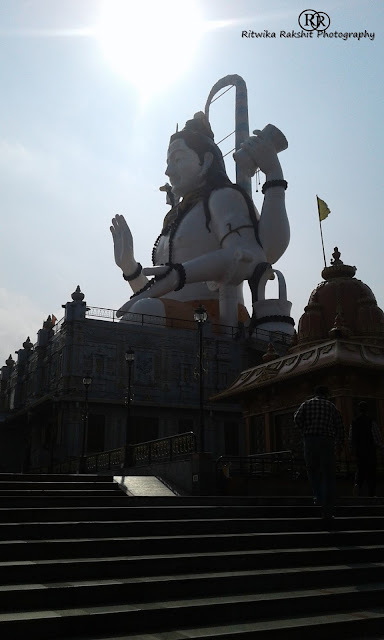 This is a beautiful planned place enclosed with twelve famous temples in all over India where pilgrims come and worship the huge statue of Shiva. 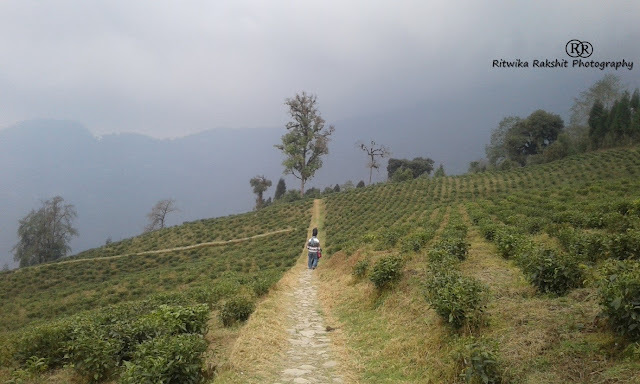 This is one of the biggest and highest tea gardens of Sikkim. The magnificent view of hills can be seen all around. People can breathe fresh air and enjoy the silence of the hill. A tea factory is nearby so you can get real and original Sikkim tea. 10.Walking on the way towards The Elgin Mount Pandim Pemayangtse, Sikkim. This is little risky. It is totally depends on you that you will go or not. But according to me some risks should be taken if you want to enjoy the beauty of nature. This road is surrounded by pine wood and the moonlit makes it unparalleled with anything. You have to watch your step and a torch is must. This is not a tourist spot but do not miss it. 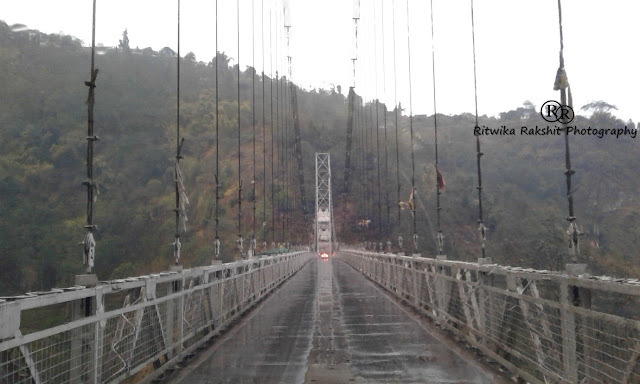 Apart from these there are many other spots and thing to do in West Sikkim like taking a peep at the Changey Waterfalls, passing by the Rathong river that flows in full glory with its dangerous beauty, the small but beautiful waterfall of Rimbi and of course gorging on the delicious Steamed Momos. The pick is yours! !